We’re coffee drinkers and imagine that most of you are too. Our predisposition to coffee has made us more attuned to the milk market, as the only thing better than a coffee is a coffee served with milk. 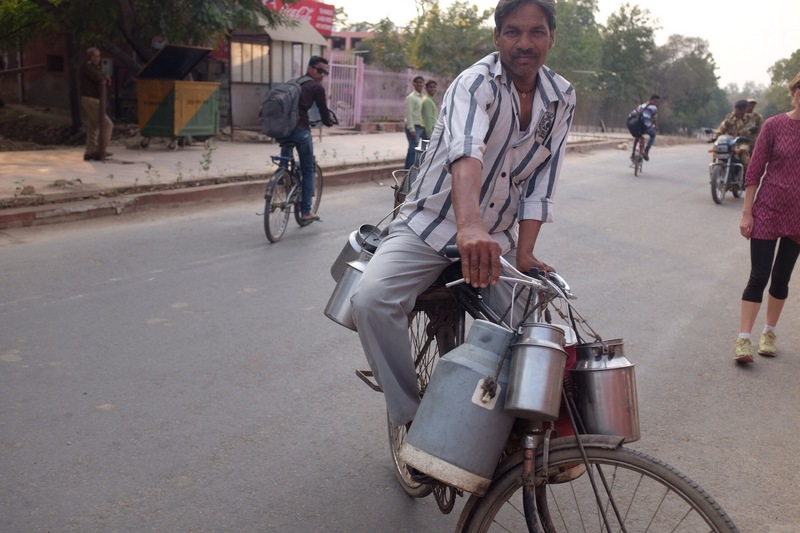 Upon arriving in India, one is struck by the omnipresence of milk stands. Close to our place in Delhi were booths with the moniker Delhi Milk Scheme. In Jaipur, stands like the one below abound. This one reads, approximately, Jaipur Dairy stall 179. Ghee, milk, curd, lassi. We visit one of these stands every day (located 20 paces from our flat) to buy 1/2 litre bags of delicious 6% fat milk. In Hindi, “milk” is “doodh”; “worker” is “walla”. The doodh walla is the person who delivers milk, door to door, every morning and afternoon. He travels by bike, motorbike and rickshaw. The sheer amount of milk and its extensive distribution network came about thanks to the doodh walla, Dr. Verghese Kurien. Kurien is known as the father of the Indian White Revolution or the architect of Operation Flood. The White Revolution was a massive agricultural development program that began in the 1950s and transformed India from a milk deficient nation to the world’s largest milk producer, with about 17% of global output in 2010-2011. Over the course of 30 years, the White Revolution doubled the amount of milk available to every Indian. In so doing, it created an important secondary income source for 70 million rural households engaged in dairying. Today, about 80% of milk produced in India is handled in the unorganized sector. There are 133,000 village level dairy co-ops that collect 25 million litres of milk per day. Even the micro finance people were in on it; a common loan product at Grameen Bank and many of its replicators across South Asia was a “milking cow (or buffalo) loan”. The loan, about USD 200, enables a micro finance borrower to buy a bovine, milk it, then repay the loan with the proceeds of the milk. Hello my fr Ends! I can’t believe i just joined in! You all look so beautiful and happy! 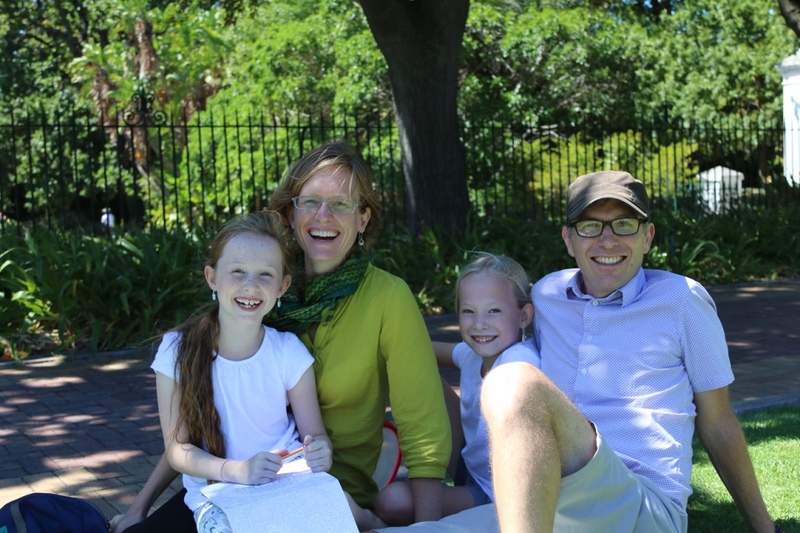 We miss you from this side of the world and can’t wait to hear all those stories in person! The pictures are gorgeous! Keep posting!!! 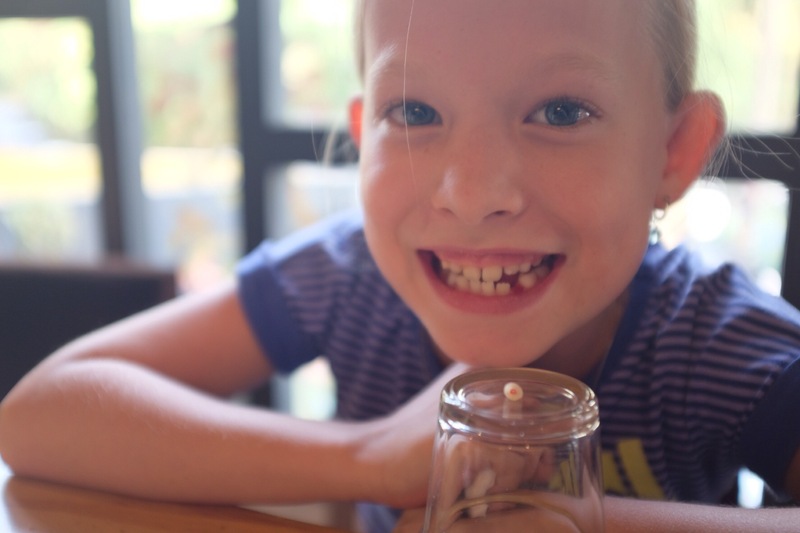 One of the most important events in a child’s life – loosing a tooth. How many teeth has Ida lost? and Ava the first time we just got a picture and we thought it was a video! Were are you right now?